Thank you for visiting my website, and for taking the time to find out more about me! I’ve always loved taking photos, but never seemed to have enough time to devote to it. I started out years ago with a film SLR, spending evenings in a dark room producing black and white prints, dreaming of being a protog. And now I am! For the past few years I’ve been a commercial photographer based in Bromley, Kent and I love it. One thing that really annoys me is rubbish photos – I don’t mean those wonky quick snaps of the kids on your phone (we all have those, including me!). I mean poor quality photos being used to promote businesses, apply for jobs and advertise products. 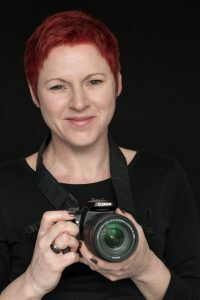 My aim is to help you and your business look better – whether it’s a professional headshot, branding photography for social media or unique images to showcase what you do, make or sell. I can help – I want to help! I work with sole traders, business start ups and larger more established companies. I’ve photographed solicitors, accountants, heart surgeons and a garden designer to name but a few. I love buildings and architecture and am expanding my portfolio of interiors and architectural photography. I also cover corporate events and past assignments include charity launches, parliamentary receptions, networking events, workshops and business expos. My promotional images include a handbag fashion shoot, an art deco boutique B&B, flat lays for beauty products, watercolour paintings and piping hot restaurant dishes on their way from the kitchen to diners. I have a small studio for products and flatlay photography, and work on location in London and the south east for headshots, events and promotional images. If you or your business needs to look better online, please browse my portfolio and details of my services– and get in touch. Or if you have a couple of minutes and want to get to know me a bit better, you can find out here why I do what I do.